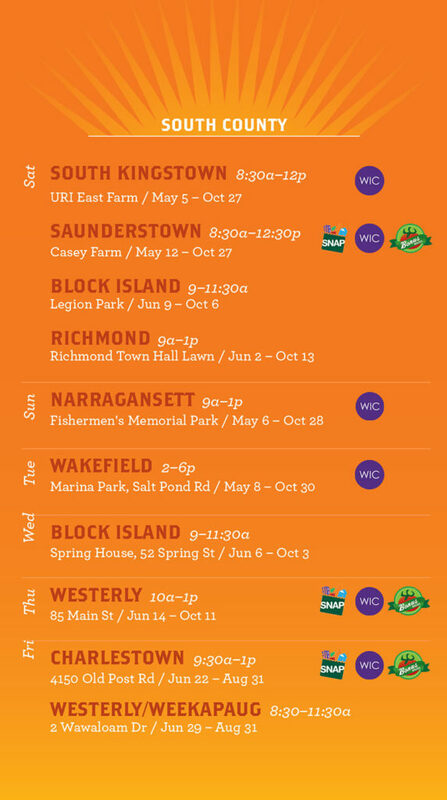 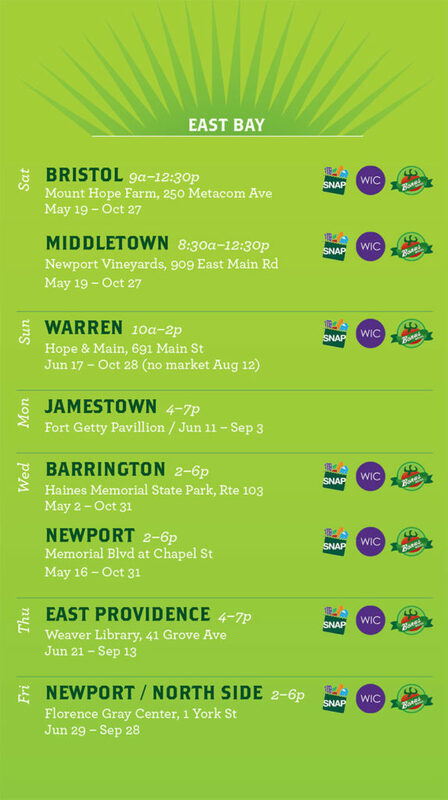 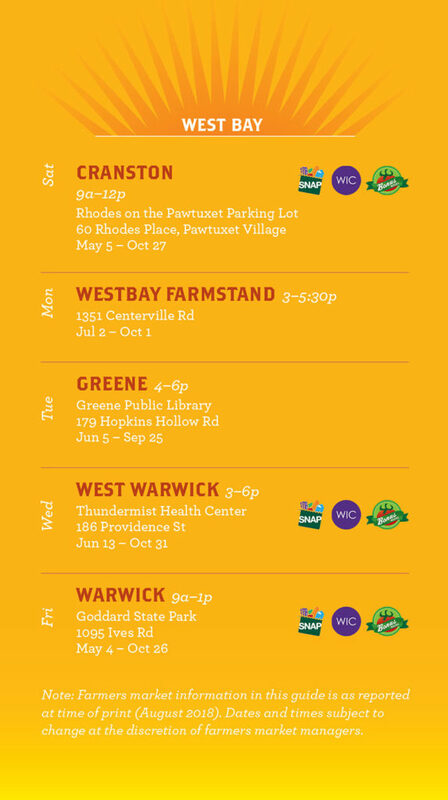 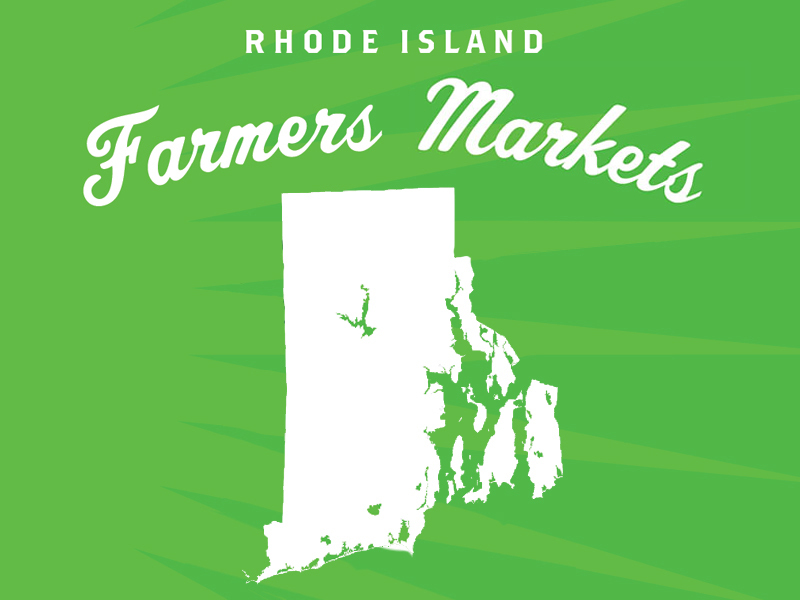 We offer this list of statewide farmers markets across Rhode Island as a service to the community of growers, shoppers, and farmers market coordinators that make it all possible. 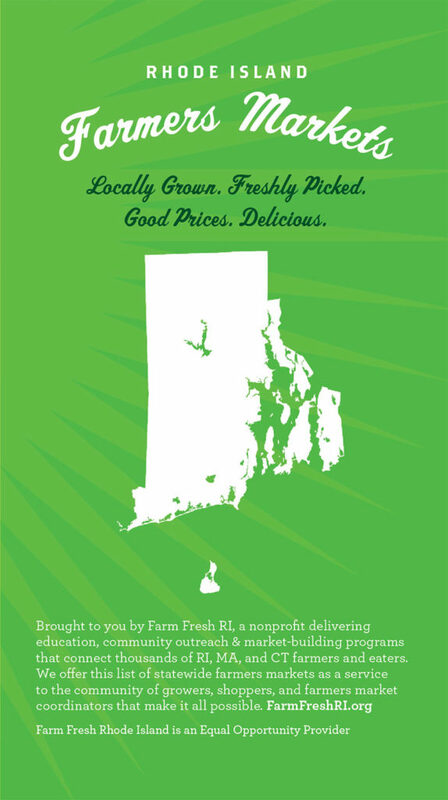 View the guide below, download the Guide as PDF, or pick one up at a farmers markets we operate. We also distribute the printed Guide for other farmers markets and community organizations to share! 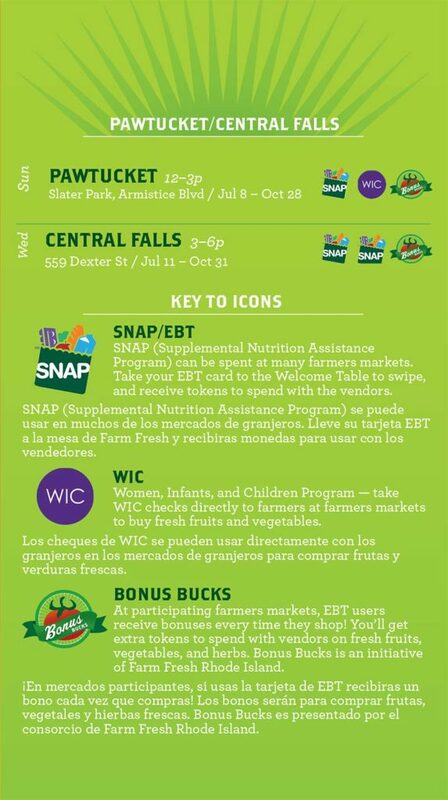 The farmers market information in this guide is as reported at time of print. 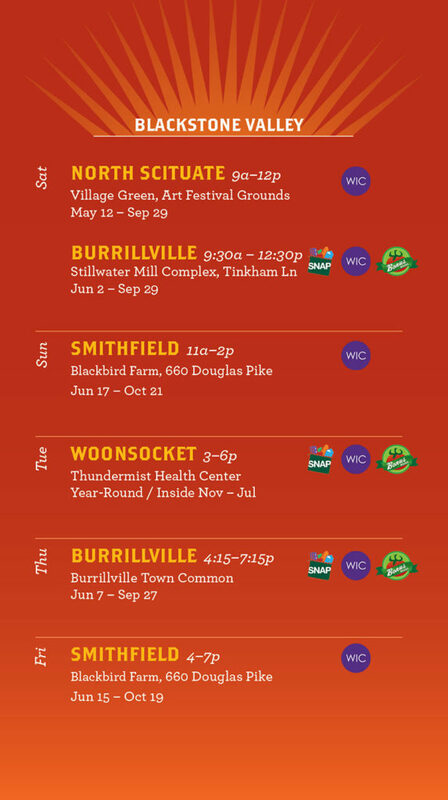 Dates and times subject to change at the discretion of farmers market managers. 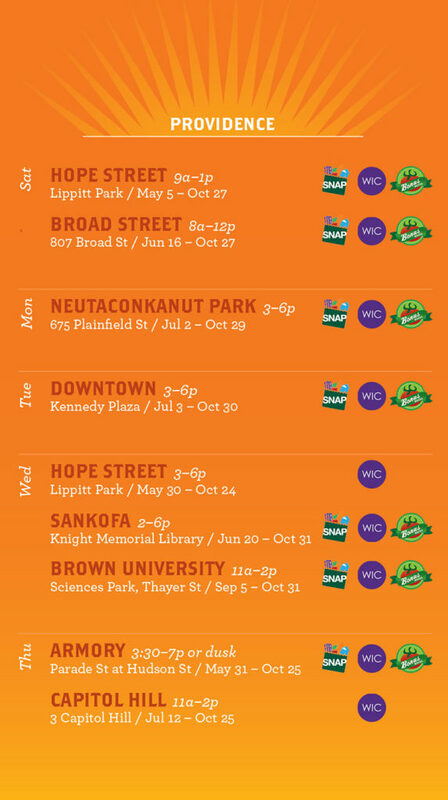 Updated August, 2018.